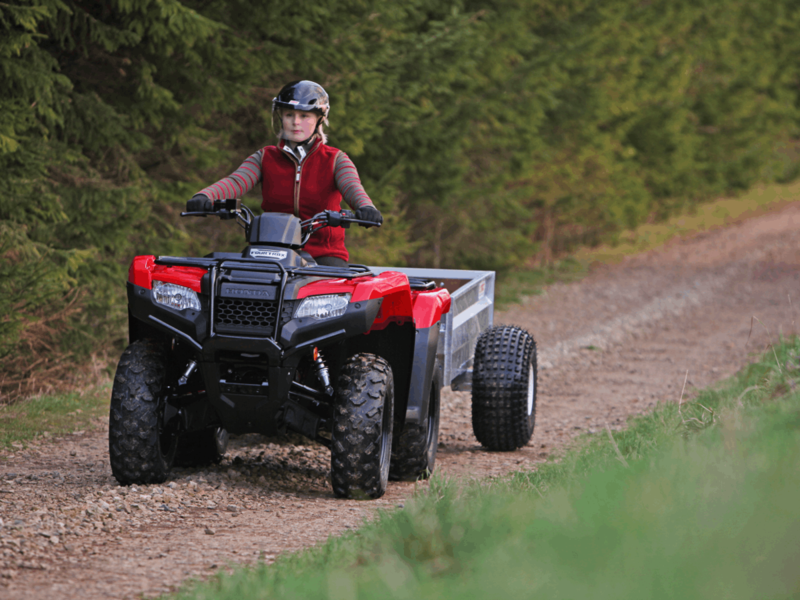 If you want a farm-hand that will pull its weight, and then some, this ATV is perfect for you. 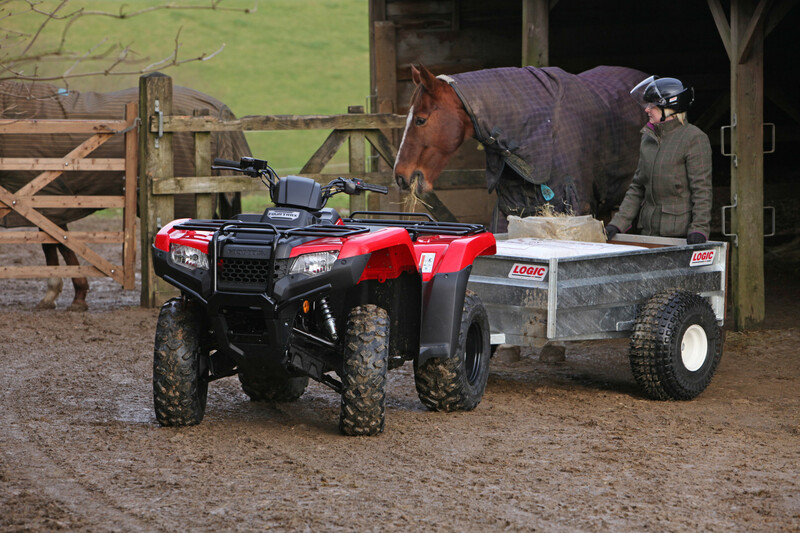 The TRX420TM1 is the larger-powered brother of the TRX250TM. 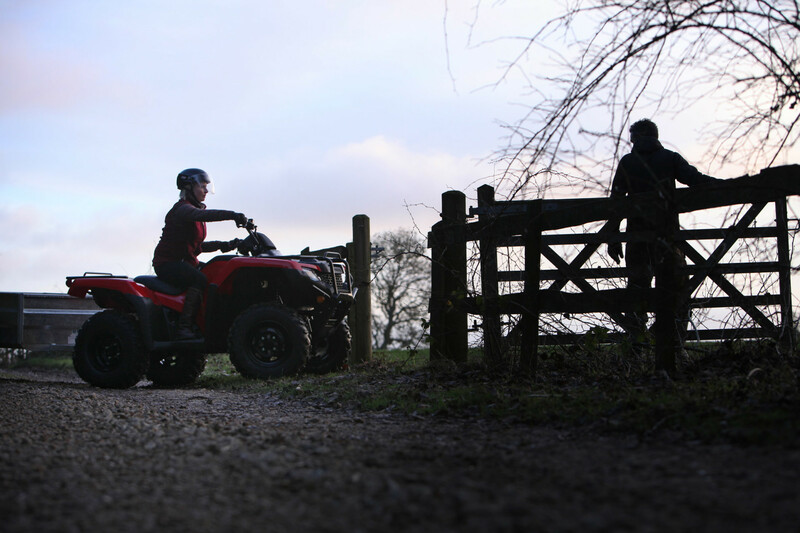 A Honda through-and-through it is trusty, reliable, and a two-wheel worker that will do more than just drive your flat-terrain farm. The big 420cc fuel-injected, OHV liquid-cooled engine boasts enough pulling power to tow a decent trailer or gallivant with a bit of gear. Its 5-speed manual transmission gives you excellent control, and the ability to ride exceptionally slow in first gear and reverse. That means you can follow your stock at their pace, or whatever pace you decide. Without a doubt this is one tough, no-frills Rancher, that will get more than just one job done.